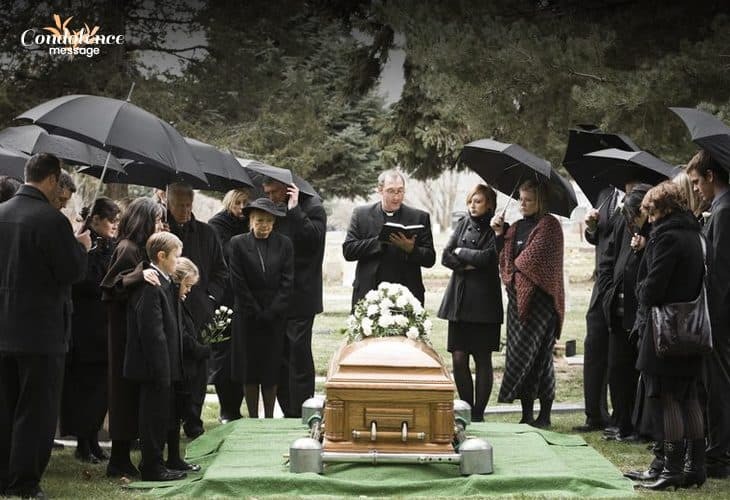 Funeral event is a solemn occasion where following the proper burial etiquette can convey respect to the demised and the grieving family. Thus, choosing a suitable attire in a funeral is the primary job for the guests. Deciding what to wear at a funeral can be baffling, but our clothing should portray the earnest somberness at the memorial. Wrong apparel may disregard the tradition and custom of the funeral. So, it is important to select suitable clothing for the gloomy occasion. At a funeral, women can select subdued shades and conservative attire for showing their decency and dignity with utmost sorrow. Skinny outfits and loud accessories can be distracting, so, it is better to avoid such style. Black or other elusive colors such as navy blue, dark gray, dark olive, and taupe are the hues of mourning. So, picking such shades from your wardrobe can be the perfect choice for the serious event. 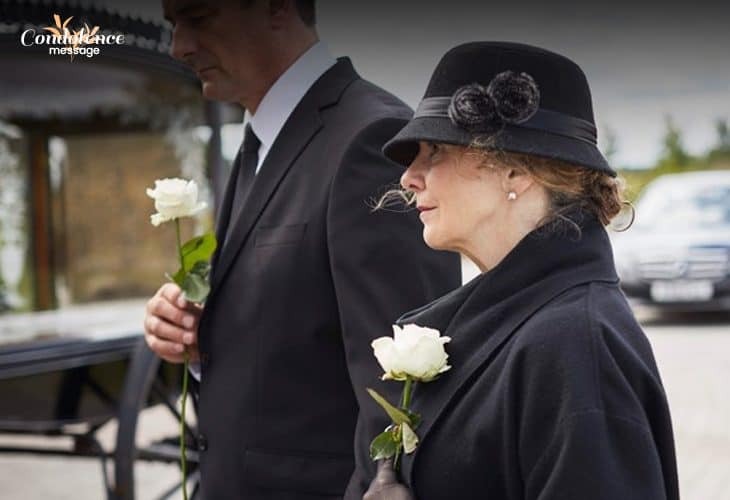 Remember, you are attending a funeral, not a party, and the submissive shades can send the connotation of grief and sympathy to the surviving family of the deceased. Skinny dresses may be your style, but it can make a memorial service distracting by your look. So, why not try a long and decent dress to cover your shoulders and knees? You may find out clad clothes from your wardrobes such as long one-piece dress, skirts paired with a covered top, or high-necked full T-Shirt with formal pant. The traditional outfits not only show your decency but also present you in a sedate way at the funeral. Bold jewelries or heavy touch of makeup may be your style being a chic persona, but that can make you look really loud and gaudy at a serene event like a funeral. So, change your looks by using a light face-paint and wearing simple jewelry like thin neck chain and small earrings. A small purse or a mute colored handbag can be a good companion for you. Journey to a memorial service is not relaxing because long walks and other tiresome works can be stressful. So, a pair of strappy sandals, and stilettos can make you a bit uncomfortable to walk. It will be a wise decision to pick a comfortable pair of footwear like pump shoes and flat sandals for a tiring day at the burial. Formal outfits maintaining the solemnity and submissiveness is the appropriate way to dress up for the burial. Casual clothing and fancy accessories can play the role of impertinence. Avoid loud colors and casual or funky appearance. Complete your look with dusky shaded clothes to show your sorrow to the grief-stricken. The murky hues like dark brown with the black pairing, black with the white pairing, navy blue with the dark gray pairing are the perfect shades for the funeral event. Shadow-shaded formal suit paired with white full sleeve shirt and formal trouser can show the classiness of your personality at the memorial. You may include an understated dyed tie and a simple belt with your formal outfit. Don’t wear men’s bracelet and band on your wrist. Instead of that, you may sport a wristwatch. Neck-ties on subtle gray, navy blue and black shades are the perfect choice for the funeral. It’s your motive to show reverence and respect rather than grabbing attention by a glitzy appearance. A gentleman is often judged with his clean and polished shoes. So, get a little time to polish your shoes before attending a funeral. Don’t wear sports shoes, casual footwear or boots. Pick a pair of formal shoes which can show a elegant appearance without diverting the people at the burial towards you. 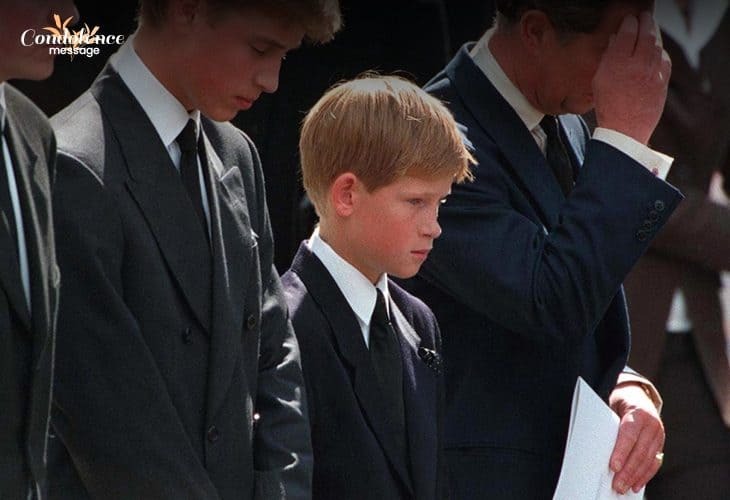 Dark colored attire is perfect, but not necessary for the children while visiting the funeral. Pick understated and traditional costumes for your children, but make sure they are comfortable. Avoid choosing fancy, funky and casual apparel for your children which can divert the attention of other guests at the funeral. Don’t select a pair of noisy baby-shoe which may agitate the people at the memorial. While attending a funeral, you need to change your clothing style for different seasons. The dressing style may vary with different seasons, but the outfits should be comfortable and suitable. When you are visiting a funeral in the summer season, try to consider the location first. If it’s an outdoor memorial service, always keep yourself prepared for the scorching heat and sun. Carry an umbrella, hat and simple sunglass to protect yourself from the sultry temperature. The hue of the umbrella can be black and don’t use fancy sunglass. Try to wear light fabrics such as linens and cotton. Avoid polyester, nylon and synthetic clothes. Lightweight attire may help you in providing different services at the funeral. Select the winter garments carefully because you may have to stand or walk long in the graveyard during the funeral process. Along with the sweater and blazer, you can also carry scarves, gloves, hats, and umbrella to save yourself from snowfall. You can also wear woolen socks and comfortable footwear. Fancy and shining outerwear should be avoided. Select moderate colors like dark brown, dark green, gray and black winter wear. Pick submissive and subtle-colored scarves, gloves and socks for the burial. Your choice of apparel should bestow your regards for the demised. Carry a dark color umbrella or raincoat, spare handkerchief, and waterproof handbag for carrying necessary things. The waterproof bag may help you keep your mobile phone, money and sympathy gifts safe during heavy rainfall. Try to wear light fabric clothes because you may have to wear a raincoat on the dress. Wear waterproof footwear, and avoid trying leather shoes in the muddy season of rain. What Not to Wear at a Funeral? Don’t choose bright, loud and light-colored fancy dresses and accessories. Avoid wearing uncovered clothes which is too much revealing. This may not fit for the situation. Never select decorative and cute dresses for your children at a memorial. Avoid doing hairstyle, loud makeup, and wearing heavy accessories which are noisy, flashy and disrupting to the grieving people. Don’t pick high heels, casual sandal, boots, sport shoes and stilettos which are uncomfortable and tiresome. Do not wear dirty clothes and footwear at a funeral to disdain the event. Don’t use too much perfume and scented lotions because some people are allergenic and they may start sneezing or coughing by the aroma of the perfume. Dressing appropriately for a funeral event is necessary because it shows your esteem and care for the lamenting people and prevents you to get embarrassed with wrong clothing in the crematorium. So, acquire proper ideas to select perfect attire before visiting memorial service.